There were 3 matches played in the NBA playoffs on April 16th. In the first match of the day, the Raptors defeated the Magic by a scoreline of 111-82. The series is now tied 1-1 after the Magic surprisingly won the first match courtesy of a three-pointer from Augustin in the final minute of the game. The second match saw a wonderful affair between the second-seeded Denver Nuggets and the San Antonio Spurs. The Spurs had won the first match of the series and had taken a 10 point lead in this match till halftime. But the Nuggets fought back to win this match and tie the series at 1-1. 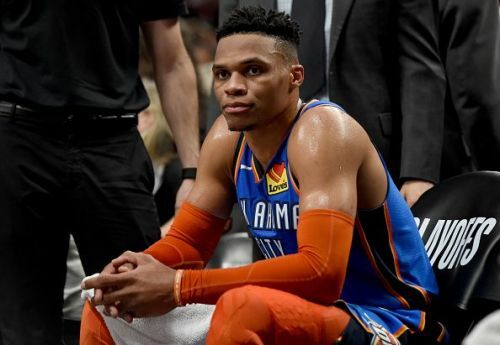 The final match of the night saw the Oklahoma City Thunder take on the Portland Trail Blazers. The Thunder were the better team for much of the first half but looked absolutely clueless in the second half. The Blazers won the match 114-94 and have taken a 2-0 lead in the series. Kawhi Leonard has already won a finals MVP in the playoffs. He is one of the best players in the NBA and the Raptors traded for him with the aim of getting deep in the playoffs. Leonard proved his mettle in this match as he dominated from the start for the Raptors. Leonard finished the match with 37 points, 4 rebounds and 4 assists on an incredible 15-22 shooting from the field. Kyle Lowry also had a very good match. He finished the match with 22 points and 7 assists on 8-13 shooting from the field. 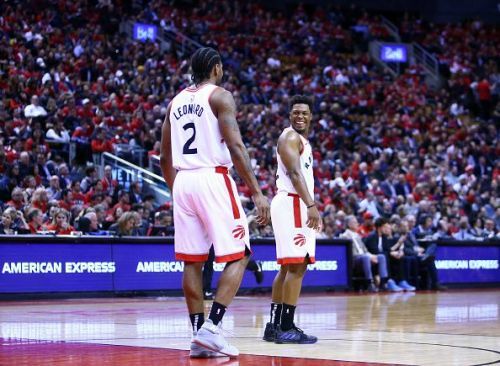 This was a great change in fortunes for Lowry, as in the last match, Lowry became the highest paid player ever to go scoreless in a playoff game.